Equine Infectious Anaemia is a virus disease of horses causing intermittent fever, anaemia, emaciation and death. It can be transmitted by the exchange of blood by biting insects and occurs typically in low-lying swampy areas. EIA is not a zoonotic disease, The Health Protection Agency advice is that EIA is not a risk to human health and that there is no evidence that this outbreak presents a risk to the local community. A notifiable disease is a disease named in section 88 of the Animal Health Act 1981 or an Order made under that Act and must be reported. This disease occurs in horses, mules and donkeys. Animals may be acutely, chronically or subclinically affected. The incubation period is variable, from a matter of days to a few months but generally one to three weeks. Antibodies usually develop seven to 14 days after infection and last for life. For an animal testing positively for EIA, the only course of action is to humanely put it down. This may be for the welfare of the affected horse, but also to protect other horses from infection. Once infected, horses are infected for life and can pose a risk to other horses in close proximity. We have agreed with equine industry veterinary surgeons that destruction is the only policy. This response is in accordance with both the Infectious Disease of Horses Order 1987 and the Specified Disease (Notification and Slaughter) Order 2006. 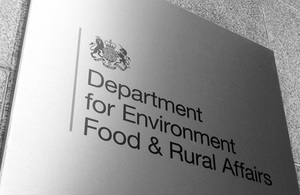 Defra also confirmed on 7 September that EIA was detected in a horse in Northumberland as part of routine post import testing following import from the Netherlands. At present there is no known link between the cases and the investigation is ongoing. For further information please see our Equine infectious anaemia pages.